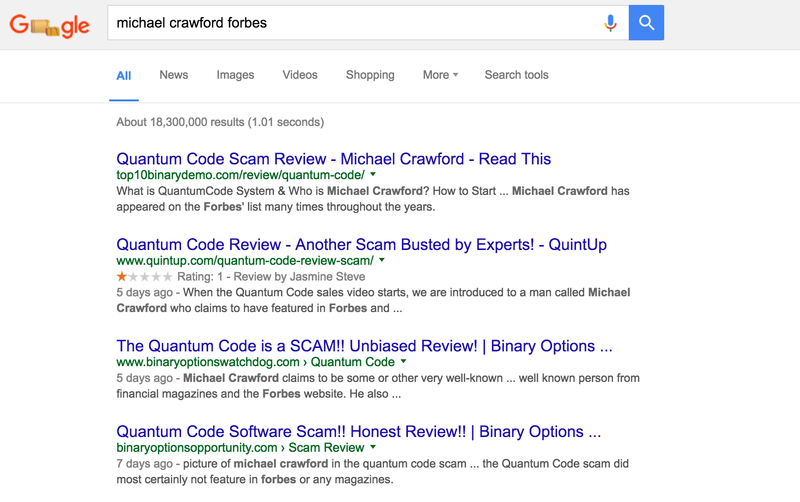 Quantum Code Review – Binary Software Scam Exposed! Quantum Code is a binary options software service that offers to make you $1,892,460 every month. The claims are getting more and more outrageous with every new Binary Software launch, don’t you agree?. As with most binary options software service, Quantum Code claims to make you rich…no super rich. As usual, in our Binary Software reviews, we will revealed why this is just another scam and is not something you want to get involved with. Enjoy our unbiased Quantum Code Review. The first impressions one gets when visiting the Quantum Code website is the familiar sense of a scam. The video on the home page shows you snapshots of the lifestyles of the rich and of course, there is always a millionaire in the video telling you how using the software made him rich. 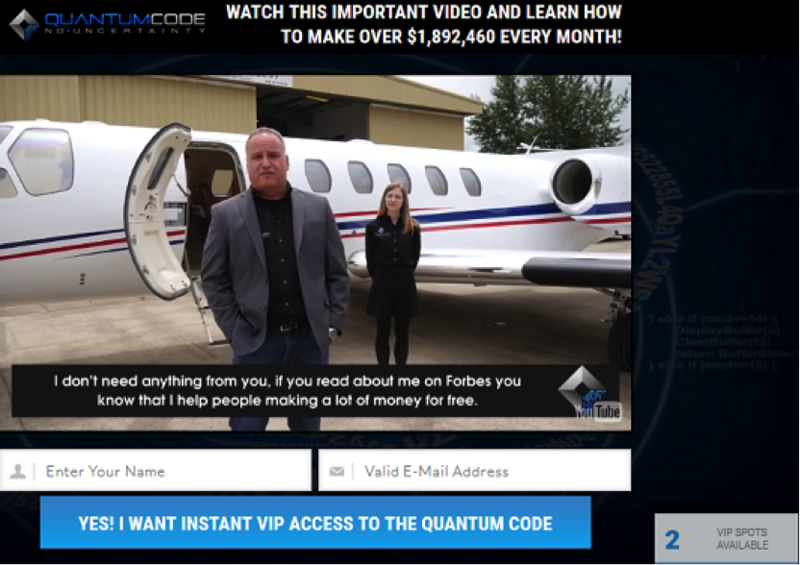 The so called fake millionaire in Quantum Code is a Michael Crawford, who talks standing in front of a private Jet. Michael Crawford mentions a lot about himself claiming that he is featured on the Forbes magazine. However, a quick check on the name Michael Crawford does not show up any results. Take a look at our search results for Michael Crawford in Google. All you will find is Quantum Code Reviews by affiliates who are trying to make a quick buck. In order to get access to the Quantum Code software, you need to drop in your email address and name. If you have seen enough Binary Software Sales Page, you should already beginning to have a sense of deja vu. They do this all the time. 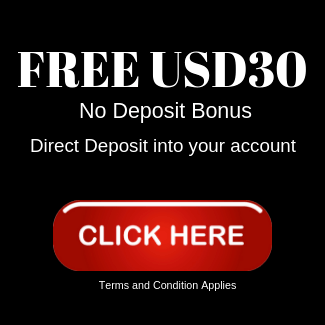 After you surrender your email address, you are then taken to the signup page after you enter your information, you are automatically signed up to a binary options broker and takes you directly to the deposit page. The software, Quantum Code, will only work after you fund your account with $250. The software is “Free” but the trading capital is your to fork out…which is fair in truth. But this so called powerful and Free software does not do what Michael Crawford claims. It is designed to lose your money on autopilot. If you are gullible enough to make a deposit, the Quantum Code software can either auto trade for you or it can alert you to potential trade signals. There are no verified results and whatever claims you see on the website are merely speculative in nature which is really quite amazing especially when many reputable 3rd party websites are ready and available such as MyFxBook and FXBlue. Looking at the Terms & Conditions section on the website, it is very evident that Quantum Code is a pure scam, aimed at getting you to signup and deposit funds with the binary options broker than help you out in any way. The terms and conditions clearly mention that Quantum Code is not responsible for any losses you might incur. Quite a different twist compared to the marketing headline that screams to make you rich overnight – with Michael Crawford even providing his personal guarantee. But then why the legal disclaimer states otherwise. Quantum Code also clearly points out that only you are responsible for the losses and thus, you will not be able to do anything if you do lose your entire money that you invested. As one might know, binary options are not an investment and it is easy to lose your money in a matter of few hours if you do not know how to trade. Why are there so many scams you ask? 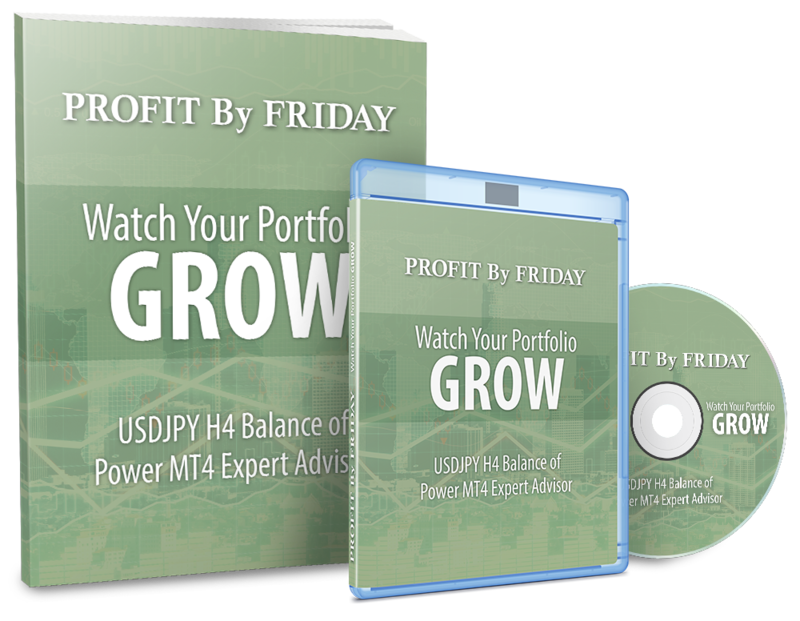 It is simply for the fact that many such binary options robots that promises you riches in fact make themselves rich. Whenever you sign up and make a deposit with any of the ‘recommended binary options broker’ the people behind the software get paid a hefty commission. Last but not the least, Quantum Code website check shows that the website details are well protected, meaning that after you lose your money, the self professed millionaire Michael Crawford can simply walk away with the commissions that you made for him. In case you do not know, the commissions that Binary Brokers are paying out to him and his team of affiliates.